Machines can be dangerous. Personnel need to be protected. At the same time, the profitability of a machine is also dependent on its availability. For these reasons, safety in automation is always a serious subject. Which is why machine manufacturers need simple solutions for functionally reliable safety systems. Siemens is offering these solutions with its range of SIRIUS safety products. 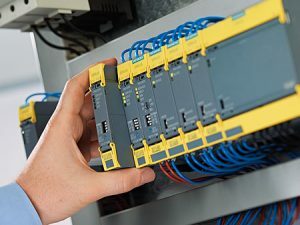 SIRIUS is the name given to the range of industrial controls developed by Siemens – and includes everything you will need to efficiently create a standardized, cost-effective safety sequence of simple safety functions: All the elements needed to detect, evaluate and react. SIRIUS 3SK plays a central role in applications of this kind. With the new range of safety relays, implementation of local safety functions has never been easier. The perfect interaction between safety relays, sensors and actuators make it possible to create complete safety sequences that are not only exceptionally reliable, but also significantly faster, simpler and more economical. SIRIUS 3SK Safety Relays are of course certified according to IEC 62061 (SIL 3) and EN ISO 13849-1 (PL e). With all these benefits on offer, why not place your trust in our new SIRIUS 3SK Safety Relays? SIRIUS 3SK is a highly streamlined product portfolio. The 3SK1 range has been developed to allow fast, simple implementation of the most common safety functions. More complex safety systems can be created using basic units from the new 3SK2 series. Parameterizing safety functions with SIRIUS 3SK Safety Relays is an exceptionally simple process: you can use four DIP switches on the front panel (3SK1 units) or software (3SK2 units). Machine safety is an absolute must. But mustn’t necessarily be complicated. Perfectly coordinated sensors, new fail-safe evaluation units and actuators – for easy implementation of a cost-effective, extremely efficient safety sequence. Emergency stop – You only need a single SIRIUS 3SK basic unit for this application: Simply connect up the emergency stop and actuator, parameterize by DIP switches and you’re ready to go. Safety applications involving more than one safety function – If your safety functions require several sensors, e.g. emergency stop and a magnetically operated switch for a protective door, you can simply expand the SIRIUS 3SK1 Advanced basic units: by adding the appropriate number of input and output expansions. Access monitoring by muting – Sophisticated safety applications such as contact-free access monitoring by muting are simple to implement with the new 3SK2 basic unit. The system is parameterized by means of intuitive PC software (incl. certified blocks) that does not require any programming knowledge. Play it safe with SIRIUS 3SK: Discover how flexible it is in-application and find out how easy it is to parameterize. Use it to set up inexpensive, extremely efficient safety sequences. Find out more here. IBT Industrial Solutions has a dedicated team of electrical product specialists who have been consulting customers on every aspect of electric motors, and helping them solve their toughest electrical problems, since the 1970’s. Their diversity of skills, expertise and wealth of experience is what makes IBT stand out among our competitors. 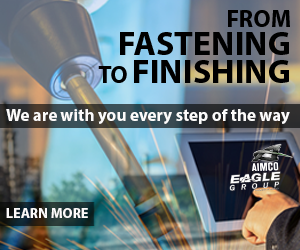 From reducing energy costs, preventing motor and drive failures, to getting more life out of your current machinery━and everything in between━this team is always up for the challenge. If you’re looking to minimize downtime and become more productive in your operations, contact Jon Prince, IBT’s Electrical Group Director, or give us a call at 913-677-3151 to learn more.